This exterior lever door handle is great for commercial or emergency exit doors. Sentry Safety Lever Handle is ergonomically correct, easy to install, and aesthetically pleasing. 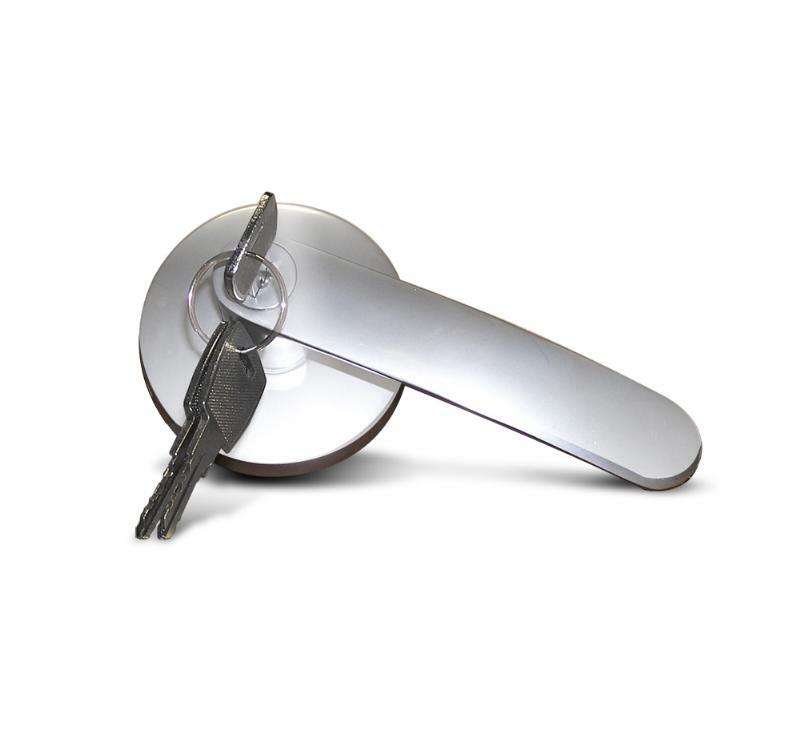 The lever-style handle requires less effort to open than a traditional round doorknob, and is recognized as more ergonomically correct than round doorknobs making it easier to open when a user's hands are full, or if a user has limited hand strength (such as with the elderly). This model is also easy to install as it comes with a manual, 2 keys, and screws. Similarly, this handle comes with a built in lock that eliminates the need for the cylinder locks that comes with most emergency bars, making this accessory more aesthetically pleasing. The painted finish adds to the appearance of the handle, as well. Finally, this handle is ideal for doors that have small to medium usage. Sentry Safety offers a comprehensive product line to control the movement of entry/exit point doors. It is essential for building owners to be able to strike a balance between opening security, safety and durability at a cost that meets business objectives. Sentry Safety products are designed to meet the most common installation and application requirements in the commercial marketplace so that these products exceed the needs of customers who value reliable door control products, excellent service, and prompt delivery.